I have a number of favorite desserts and these babies are one of my favorites. I love these because they only take about five minutes to make and the ingredients are simple and easy to remember. 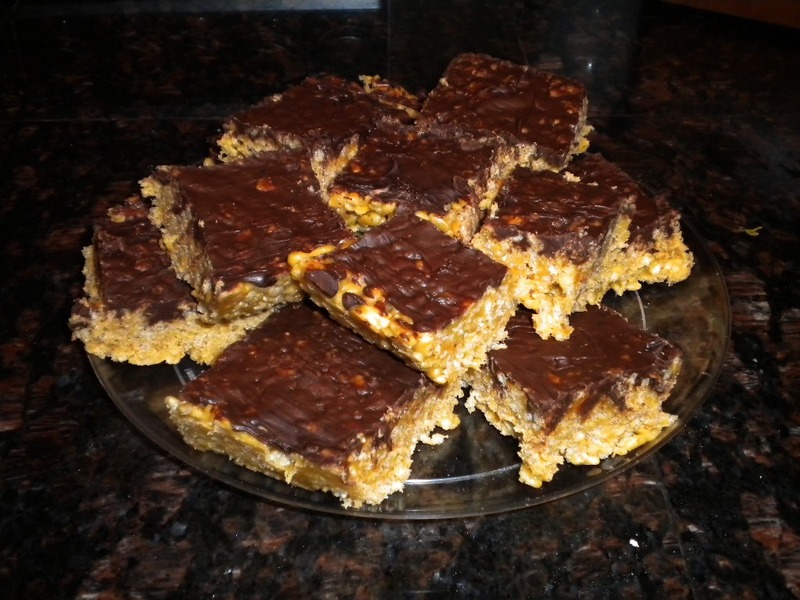 They are my go-to last minute dessert. 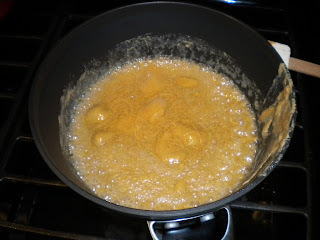 Combine butter, corn syrup, and sugar in sauce pan and bring to boil. Let boil for about a minute. Turn your burner off and add peanut butter. 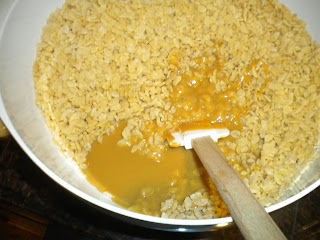 Stir until all peanut butter is melted. While you were waiting for your sauce to boil, you should be putting your Rice Krispies in a large bowl. 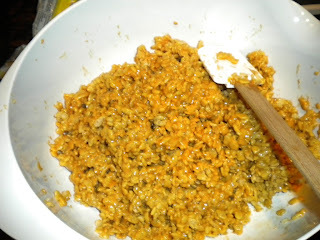 Once your sauce is mixed well pour it over your Rice Krispies and mix all your ingredients together. Pour your mix into a baking pan and smooth everything out. Sprinkle chocolate chips over the top and cover for about five minutes. By covering your dish it helps the chocolate chips melt and will make them easier to smooth out. Once your chocolate chips look like they are getting melty or soft, smooth them over the top. 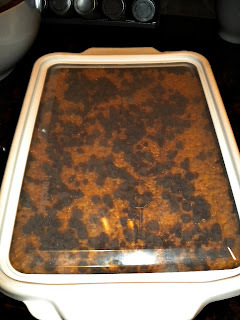 This takes about an hour to cool down. You can serve this slightly warm right out of the dish or wait for them to cool to cut and serve.